Performance can’t escape time-keeping, whether it is a split-second performance, or a durational piece that takes days, weeks, months or even years to complete. At the same time, performance defies limitations by evading the present, documenting the past while leaping into the future, and devising strategies of multiple time tracks. It is both firmly rooted in a conventional idea of the passage of moments from past, to present, to future, and in experience that originates from an anticipated future and slips directly into the time of memory. On Time engages with multiple understandings of the time in performance. 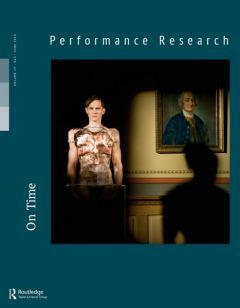 From the argument that audiences and performers experience time differently in a given event, to questions about re-presenting and adapting previous performances, this issue offers broad conceptual investigations and artistic approaches to temporality. 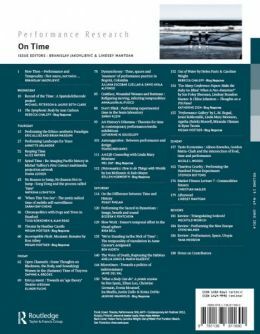 The essays and artists pages assembled for this issue are re-articulations of work presented at PSi 19: Performance and Temporality (June 25-30, 2013).